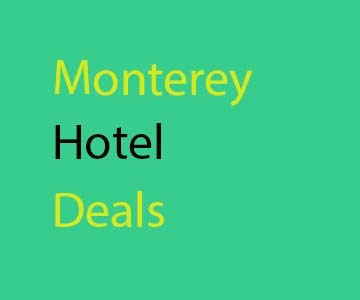 The Great People Places and Events that make Monterey a Great Place to Visit. The Best Beach in Monterey County to have a Bonfire is Carmel Beach. 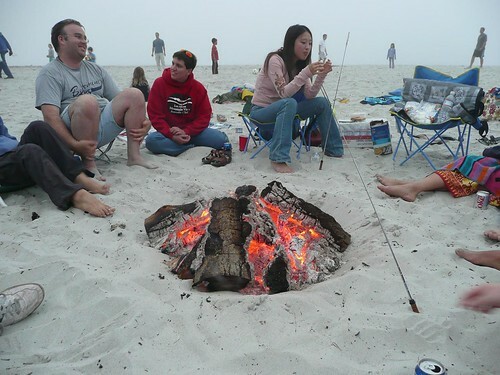 A Carmel Beach bonfire is truly an experience that every visitor and local should experience. Whether that is a romantic fire at the beach with your husband or wife or boyfriend or girlfriend or a group of friends that get together to enjoy the sunset at it drops into the ocean as your kids eat smore's by the fire. The City of Carmel has updated the rules governing bonfires on the beach. The new rules were put into place to help with air quality south of Carmel beach as well as to alleviate the problems of ash left of the beach after the fires. 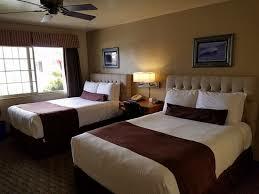 Best Western Plus Victorian Inn -487 Foam St.
Cannery Row Inn -200 Foam St.
All Wood Fires Must be In city provided fire pits. The Hours for wood or propane fueled beach bonfires are from 4pm to 10pm. No Reservations are required to use the fire pits. Sharing of fire pits is highly encouraged. This just makes it better for everyone. Stairways and pathways must be used for entering and exiting the beach. No climbing up or down the bluff. Free Parking is allowed along Scenic Road and Del Mar parking lot until 12 midnight. Wood fueled fires are only allowed in fire pits supplied by the city of Carmel. Propane fueled fires are allowed at least 25 ft from the base of the bluff, from 8th Ave. South towards Martin way. Charcoal fueled briquette fires are not allowed. Do not use sand to extinguish a bonfire put a little water on the fire and let it burn itself out. Temporary structures such as tents canopies or similar enclosures are not allowed. Smoking is not permitted on the beach or scenic pathway. Consumption of alcohol is permitted only on the beach but not on the scenic pathway. Dogs on the beach must be on a leash or under voice command. Dogs on the scenic pathway must be on a leash. Always clean up after your dog. The main rule is you can only have a bonfire South of 10th ave. It must be in a city provided fire ring or be a propane powered fire pit. Anything North of 10 ave. is off limits for bonfires on the beach. Another thing is use firewood not old lumber or pallets etc. Simply because these have nails and metal debris in them that long after the fire is over kids and dogs get stuck in their feet as they are playing on the beach. The size of your fire can only be 3 feet by 3 feet by 3ft. anything larger than that is not legal. All Fires must be put out by 10 pm. All fires must be further than 25 feet from the bluffs. All fires must be put out by water not just by piling sand over them. That is a big one. You want anyone running or walking their dog in the morning to be able to see where your fire was last night and if it's covered with sand possibly it could still be very hot. Nowadays the crowd having bonfires on Carmel beach is usually groups of family and friends so it is a very quiet crowd with lots of little kids running around skim boarding and playing in the water. The parents of these little kids are probably the same teenagers who used to have huge bonfire parties on the beach when they were in high school. So to say the least the crowd on the beach has mellowed over the years a lot. 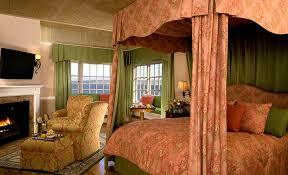 This is really a great experience whether you are just visiting or have lived here forever. Carmel Beach Bonfires Rules List I'm Here On Vacation How Do I have a Bonfire On the Beach. If you are here on vacation and you want to have a bonfire on Carmel Beach there's a few ways you can do it depending on you accommodations. Now if you are staying in a Vacation Home Rental then it's pretty simple you can get firewood from the wood stacked up where you staying if your rental has a fireplace. Now if you are staying at a hotel this is a bit more difficult you simply need to go to a convenience store or grocery store that sells firewood in a box. Now while your at the grocery store pick up marshmallows, Chocolates, and graham crackers for smore's. you also need a 5 gallon bucket of water to put out your fire. Oh and get some of those metal marshmallow roasters that extend to roast your marshmallows on and you and your loved ones will have the best Bonfire on Carmel Beach. 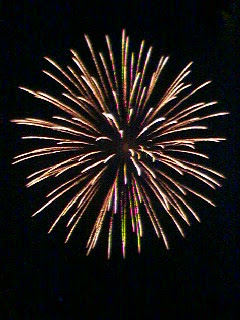 Fireworks Shows In the Monterey Bay Area.